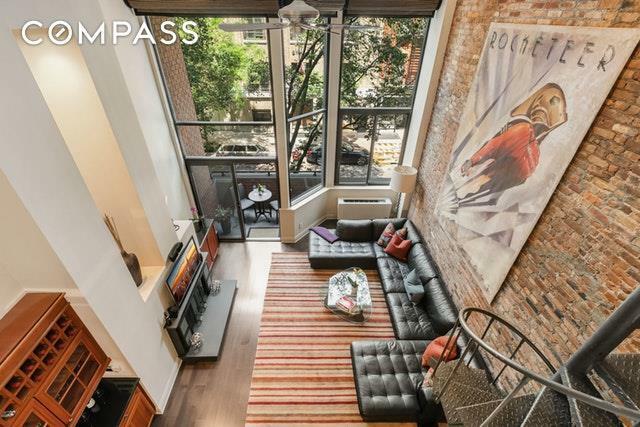 As you enter this one-of-a-kind Upper East Side loft home, it will grace you with natural lighting throughout. The soaring high loft ceilings, wall of floor-to-ceiling oversized windows, and a 17ft gallery wall boldly welcome you into this bright, spacious, elegantly designed, duplex convertible two bedroom home with 1.5 bathrooms. The open floor plan on the main level is perfect for entertaining or relaxing by the wood burning fireplace. Filled with character, the 29 living room greets you with charm, a balcony right off the living room, a glamorous redesigned powder room featuring a Neo-Metro stainless steel pedestal sink, Murano glass lighting, and accented decorator wallpaper, recessed lighting and ceiling fan, and an exposed brick gallery wall, ideal for the art enthusiast! The stunning home has been redesigned exceptionally with beautiful maple hardwood flooring in espresso, custom fabric motorized blackout shades and designer wallpapers. Custom cherry cabinetry extends throughout the eat-in-kitchen around an island with seating, granite countertops, built-in home bar, Murano glass drop lighting, a garbage disposal, smoked mirror backsplash, under cabinet lighting, and top-of-the-line appliances. 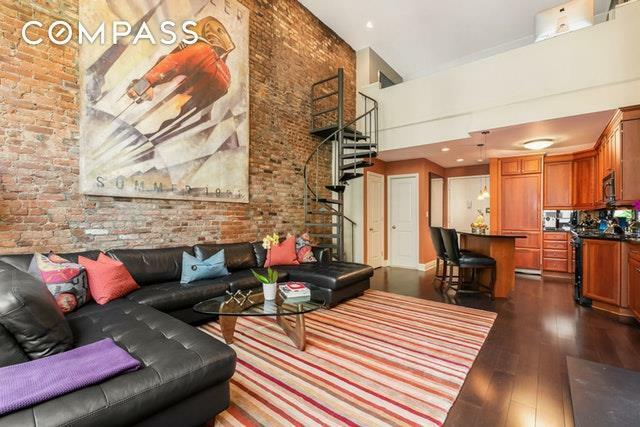 A dramatic spiral staircase leads you from the main level of this magnificent duplex to the second level, which overlooks the grand living room. A large, lofted, open space with mirrors and custom cabinetry can be used as a study / office, den, or extra guest space. The enormous, light-infused, south facing, serene master suite boasts a mirrored wall, a built-in vanity desk and extra storage cabinetry, wall-to-wall custom carpeting, a deluxe oversized walk-in closet, and a private balcony that overlooks the garden. Window treatments are custom fabric blackout drapes and shades. A large and impressive, luxurious en-suite master bathroom in Italian marble features custom mirrored cabinetry, a Thermo Masseur Soaking Tub, and a Toto toilet. Approximate SF= 1,250. The building, recently renovated with a redesigned entryway, elevator, and hallways, has a live-in super, laundry room, and audio/video security. Sublets and pets are both allowed with board approval. 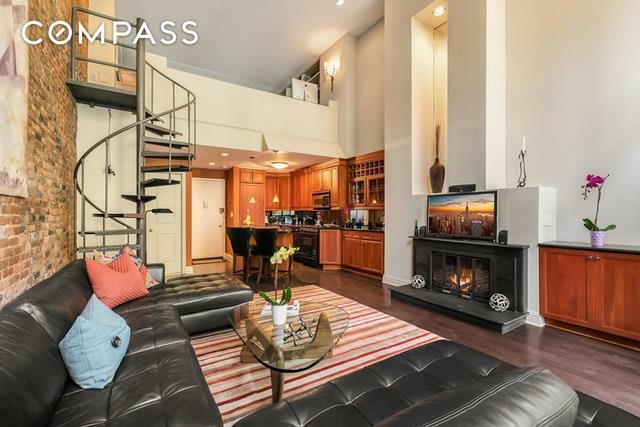 Centrally located on the Upper East Side, the building is moments away from Central Park, the 4, 5, 6 and Q subway trains, two Equinox locations, and Whole Foods! 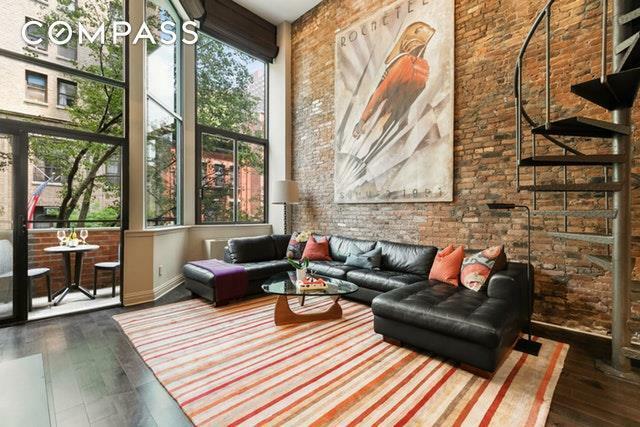 In the heart of the Upper East Side, the home is surrounded by some of Manhattans finest restaurants and shops.